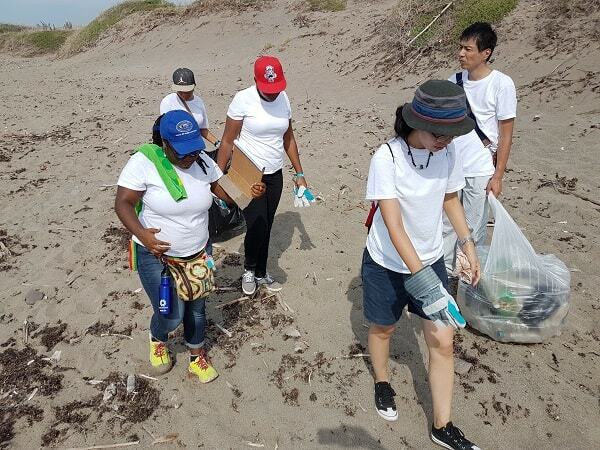 International Coastal Cleanup (ICC) Day takes place on the third Saturday in September every year.It is the largest one-day volunteer event in the world. 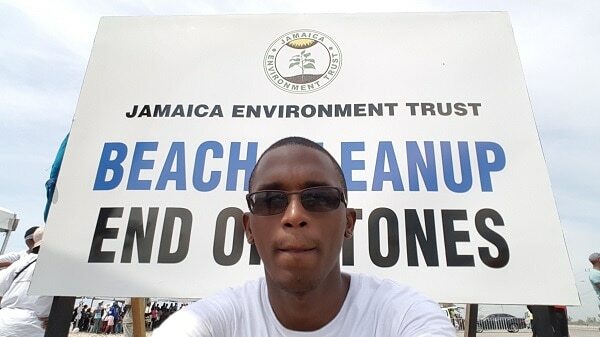 This year it was on Saturday, September 17th and I joined forces with the Jamaica JET Alumni Association to do our part in cleaning up Jamaica coastline. We joined other volunteers at the “End of Stones” cleanup site on the Palisadoes in Kingston. We removed 120+ plastics bottles and dozens of pieces of plastic, metal, foam, sponge, syringes, cloth, wood and rubber later we retreated from the blazing sun feeling good about our contribution. I must commend the Jamaica JET Alumni Association especially Marsha, Karen and Maria for inviting me and my ruthless “taichou” Nadya who lead my group. Let’s do this again in the coming years! Hi Kirk: It was such a lovely surprise to see you yesterday. I have been volunteering on ICC Day for about 10 years now (I think I’ve lost track of the years actually!) It was so good to see many young people there – and the Japanese/Jamaican community worked really hard. If you look at my blog post from yesterday you will see one Japanese volunteer (and his small Jamaican sidekick) from “Garbie Walkie” in the featured photo. I will also post them on my Facebook page today. See you all again next year I hope!! Sorry I missed your live chat. heading over to your blog now though to check it out.